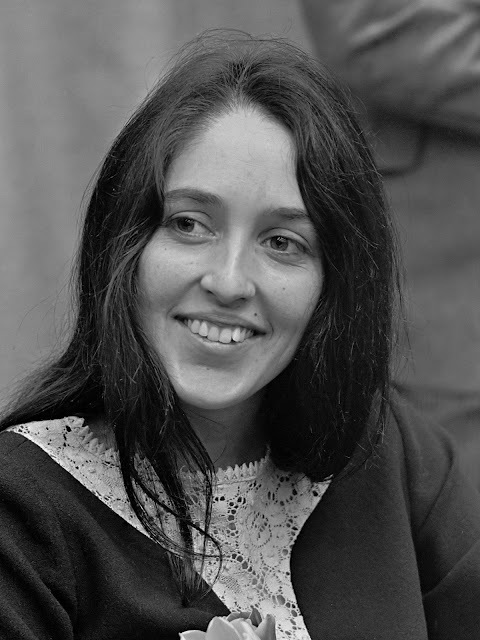 Joan Baez was born today, January 9, in 1941. She is a folk singer, songwriter, musician, and activist whose contemporary folk music often includes songs of protest or social justice. With more than 30 albums and career that has spanned almost 60 years, Baez is a living legend. On April 7, 2017, Baez was inducted into the Rock and Roll Hall Of Fame. Though she is regarded as a folk singer, her music has diversified since the counterculture days of the 1960s and now encompasses everything from folk rock and pop to country and gospel music. Although a songwriter herself, Baez generally interprets other composers' work, having recorded songs by Bob Dylan, the Allman Brothers Band, the Beatles, Jackson Browne, Leonard Cohen, Woody Guthrie, and many others. Songs of acclaim include "Diamonds & Rust" and covers of Phil Ochs's "There but for Fortune" and The Band's "The Night They Drove Old Dixie Down." She is also known for "Farewell, Angelina," "Love Is Just a Four-Letter Word," "Forever Young,""Joe Hill," "Sweet Sir Galahad," and "We Shall Overcome." She was one of the first major artists to record the songs of Bob Dylan in the early 1960s; Baez was already an internationally celebrated artist and did much to popularize his early songwriting efforts. Baez also performed 14 songs at the 1969 Woodstock Festival and has displayed a lifelong commitment to political and social activism in the fields of nonviolence, civil rights, human rights, LGBTQ rights, and the environment.